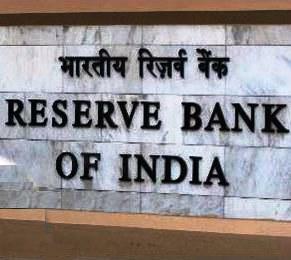 The Reserve Bank of India is India's Central Banking Institution; The RBI controls the Monetary Policy of the Indian Currency. Raghuram Govind Rajan is the current and the 23rd Governor of the Reserve Bank of India. Reverse repo rate is the rate at which the central bank of india borrows money from commercial banks within the country. It is a monetary policy instrument which can be used to control the money supply in the country. If Reserve Repo Rate increase then it will decrease the money supply and if decrease then it will increase the money supply, other things remaining constant. An increase in reverse repo rate means that commercial banks will get more incentives to park their funds with the RBI, thereby decreasing the supply of money in the market. On Last 15th Jan The Reserve Bank of India cut its repo interest rate by 25 basis points from 8% to 7.75 % in a surprise move on Thursday, since May 2013 its first reduction, as inflation showed signs of slowing and the government was making efforts to contain the fiscal deficit. which is likely to benefit cyclicals and midcap stocks more compared to large cap stocks, HSBC Global Research said in a note. Reason behind the Rate cut: Softness in global commodities and a more than 60 percent fall in global oil prices since June last year have led to a sharp decline in the Wholesale Price Index. The real estate industry today hailed the RBI's decision to cut key interest rate, saying the move will boost housing demand and also improve sentiments in the sluggish property market. However, real estate developers and property consultants demanded that interest rates be further reduced. Hopefully (it will) increase spending, make loans cheaper. It will encourage faster growth of consumers goods sector which has been witnessing relatively slower growth in the last two-three months.